The fabulous Settrington Cup is an extremely serious occasion. Preparations in their own specific paddock are every bit as vigorous as those in the main paddock. Parents and drivers have been training for months, this is quite a race. Lyla Turner in the paddock prior to the race, with her father, Aston Martin World Endurance Championship driver, Darren Turner. 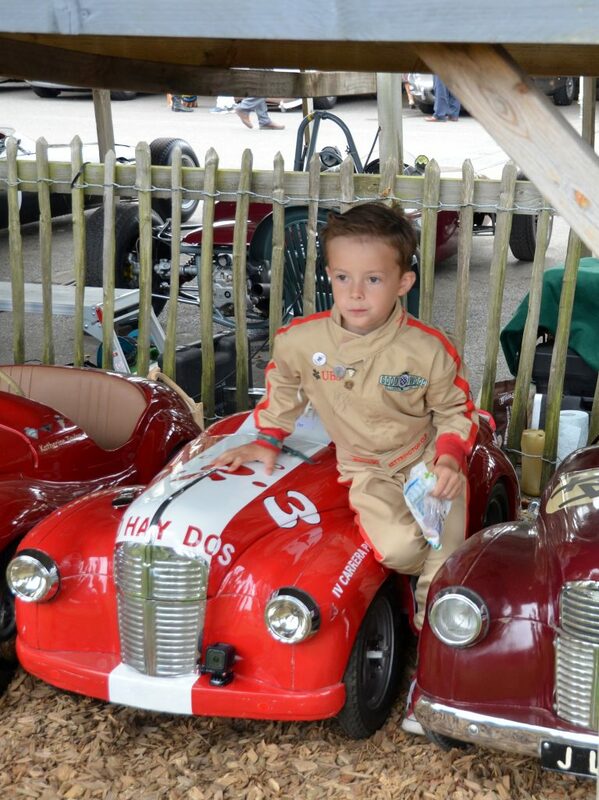 A contemplative young driver sitting on his Austin J40, in the paddock, prior to the race. A future F1 champion no doubt. 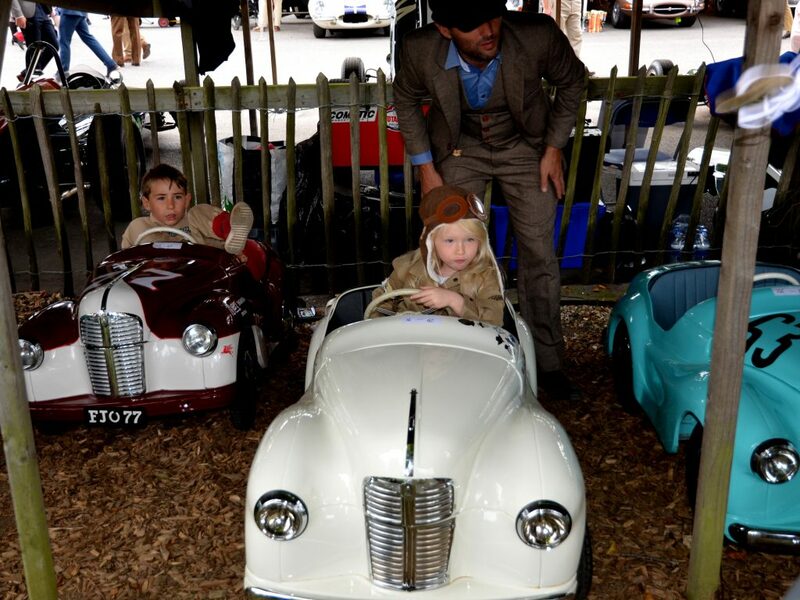 Excited drivers eagerly waiting to race. 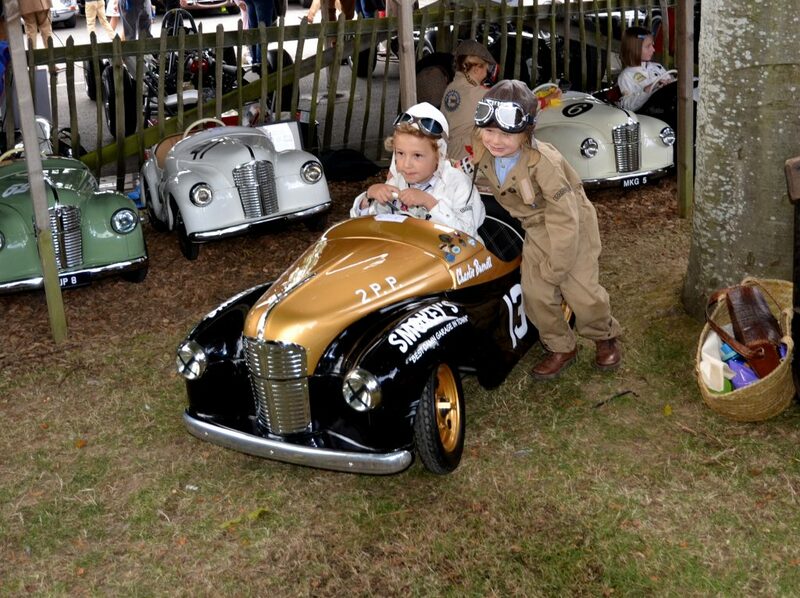 The Austin J40s are gleaming splendidly, whilst these determined boys and girls wait anxiously to race. It’s off to the Assembly Area. 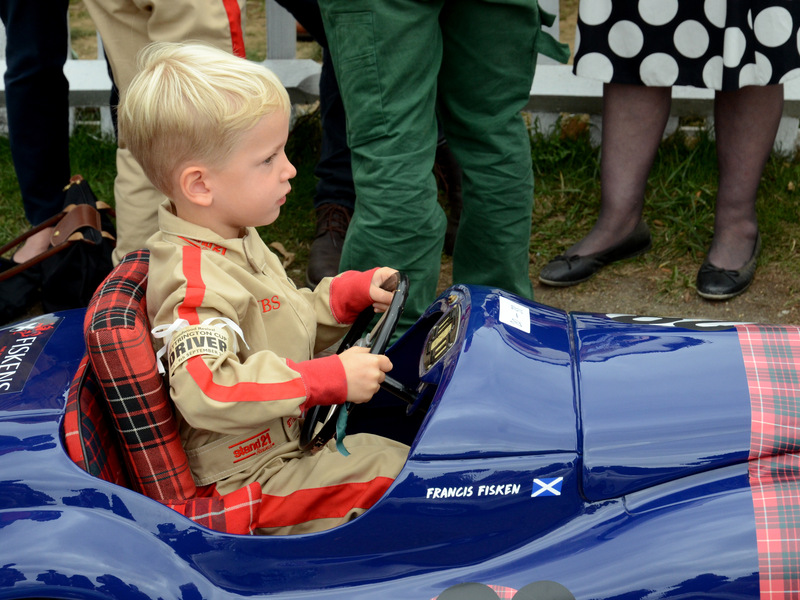 Driver Francis Fisken in the Gregor Fisken Austin J40. Powered by Feet, Austin J40, in the line up, ready for action in the Settrington Cup. 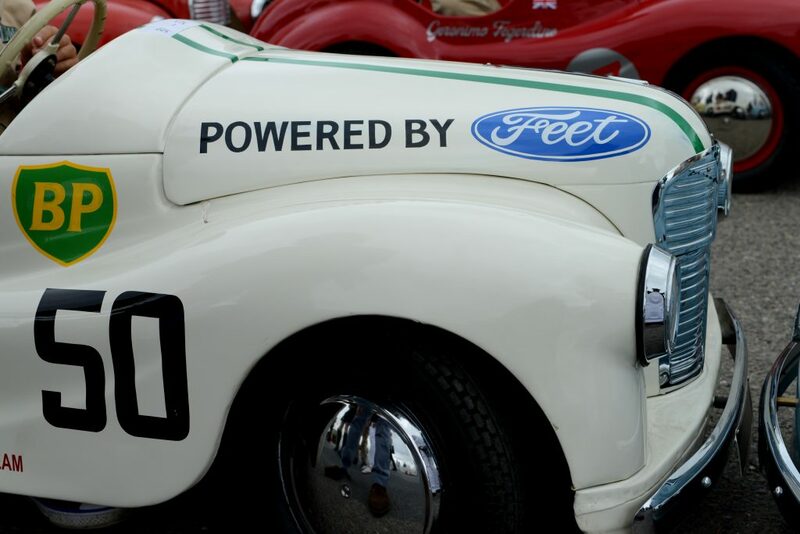 Foot power is a serious business. 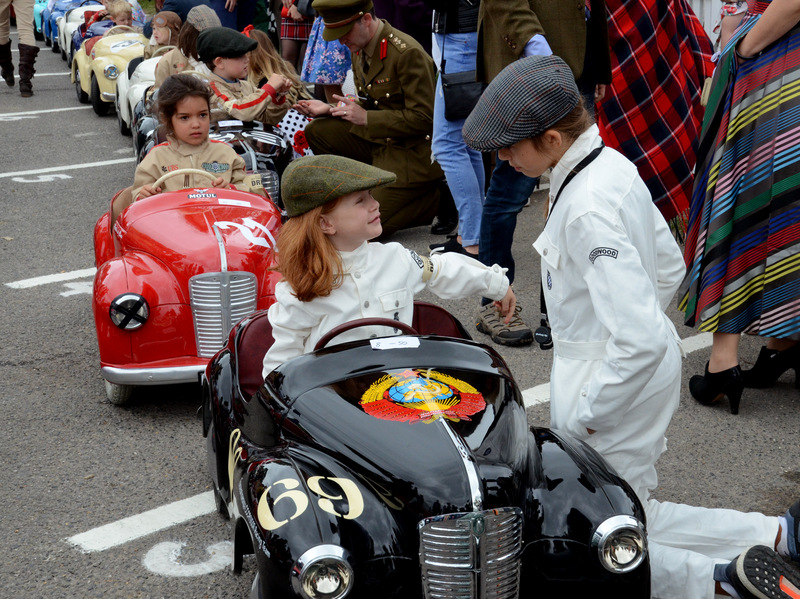 Drivers briefing, last minute advice prior to the race. Drivers pedaling hard during the race, the competition is tough. 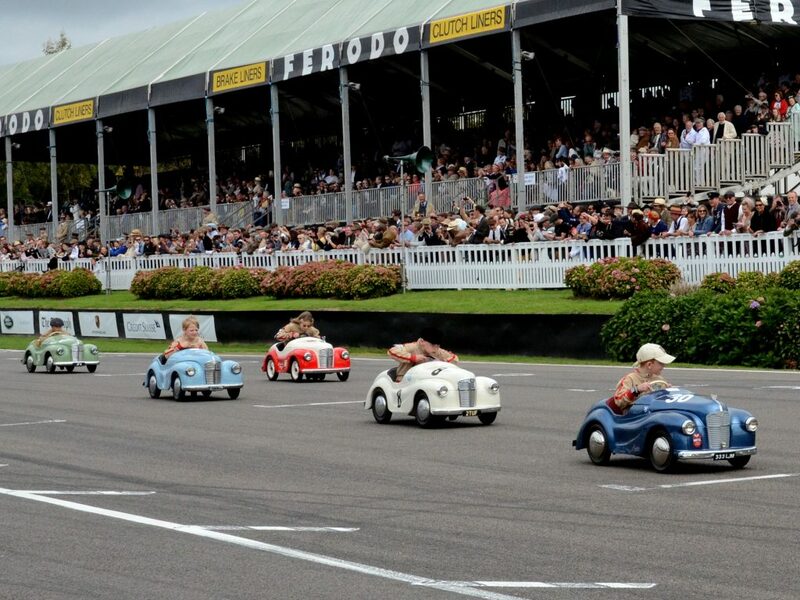 The crowds roar and cheer as the eager drivers race along the motor circuit. 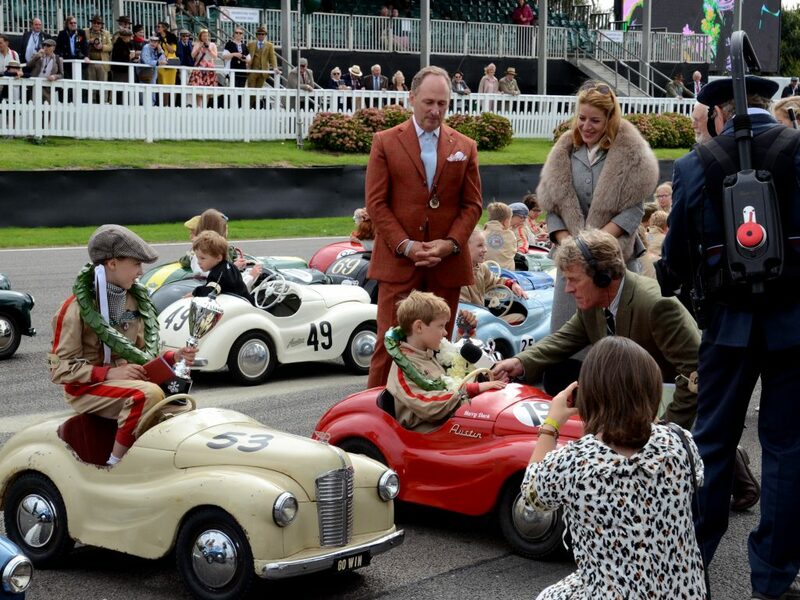 Settrington Cup – serious racing, battling it out on the Goodwood motor circuit. 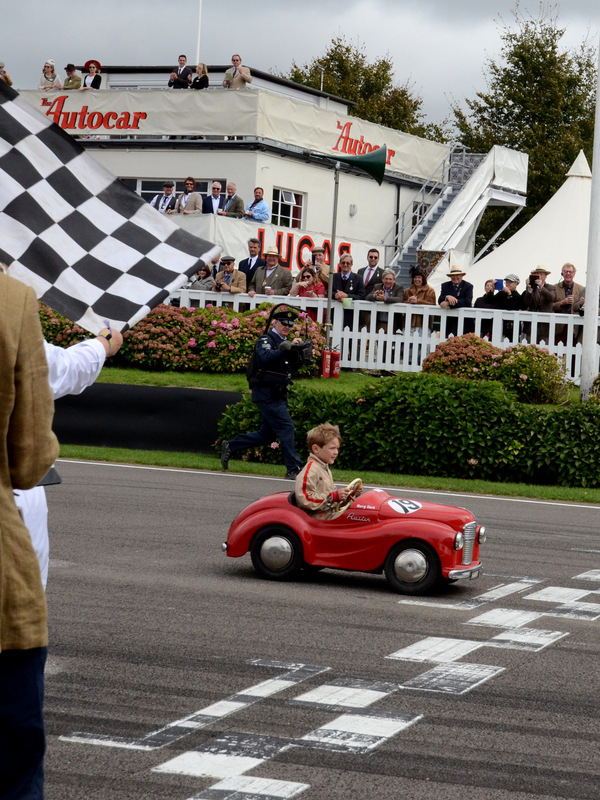 This race has to be seen, what a spectacle: simply magical. We have a winner! 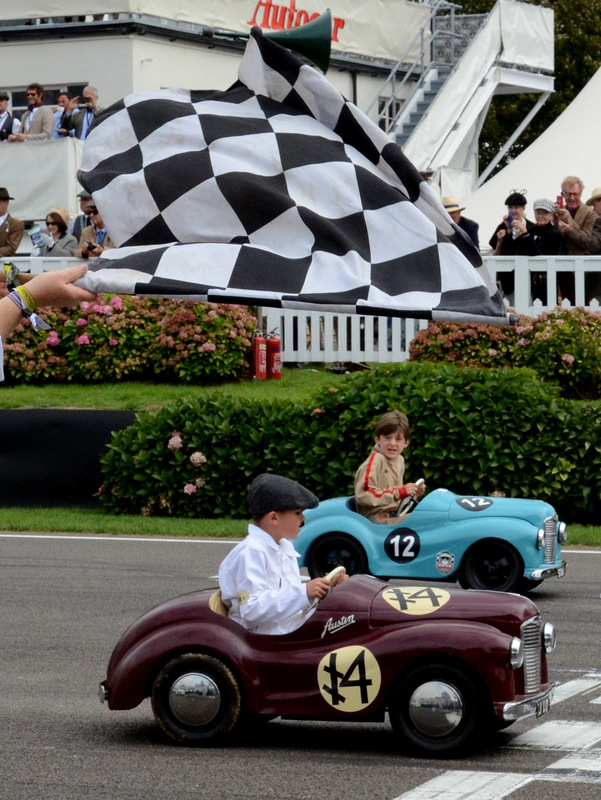 The incredible, young Harry Dark triumphs in the Settrington Cup at Goodwood Revival 2018 . It’s not all over yet, the other youngsters are still fighting for a place. Crossing the finish line, as the chequered flag waves. 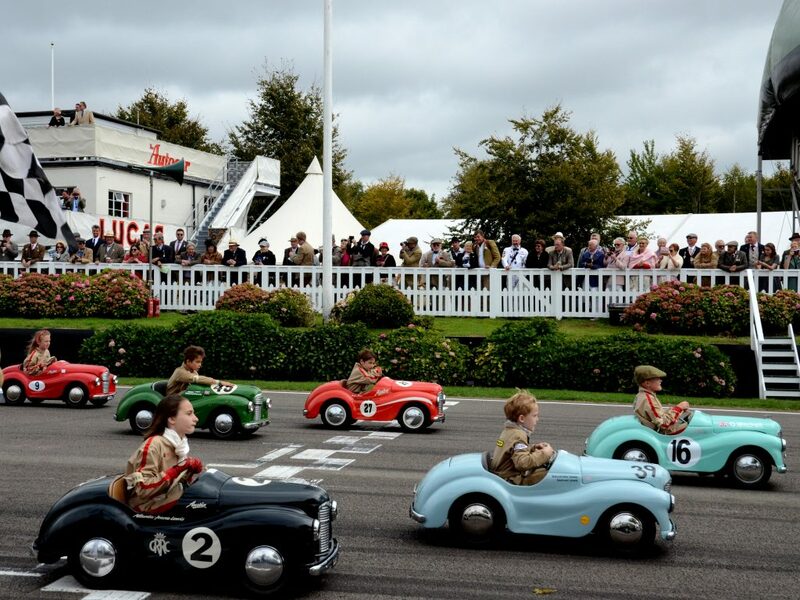 The Settrington Cup presented to the Winner Harry Dark, at the Goodwood Revival 2018.